Émilie Rasmussen is in her first year at NMSU and as a Staff Writer for The Round Up. She graduated from El Dorado High School and the International Baccalaureate program in El Paso, Texas, in 2017. Émilie is planning on double-majoring in Journalism and International Business. Émilie has lived in Texas, Ohio, and Vermont. In her free time, she likes to drink tea and coffee, journal, draw, and participate in theatrical productions. 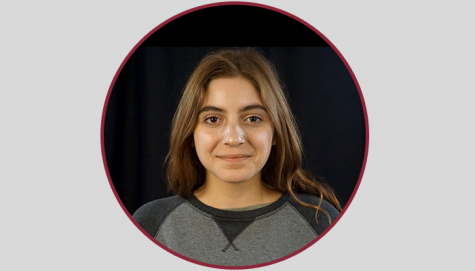 Émilie is very excited to work at The Round Up, and she hopes to bring new stories and experiences to it.